Discover the ultimate expression of feminine allure with ALLURE SENSUELLE. Ideal for Fall, rich spice notes shine in this Oriental scent, enlivened by fresh facets of Mandarin and Bergamot. 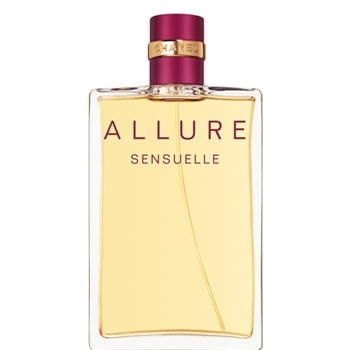 ALLURE SENSUELLE reveals a fascinating facet of a woman's allure. Modern, magnetic and different, it was created to draw a woman into a more sensual universe with a voluptuous Oriental note and a bright spicy accent. Eau de Parfum Spray creates a long-lasting fragrant aura. Chanel Allure Sensuelle EAU DE PARFUM SPRAY is currently priced at $85.00 for 1.7 fl. oz.